I have written about my deep interest in massage therapy several times before. In an important way it has become a necessary function of my life as I get older. I told my therapist that for this to have any real meaning for me it had to resonate in some way with my Catholic faith and it has. It did not take me long to find a religious connection for the wonderful feelings that my therapists engendered in this old body. It was a rejuvenation and a euphoria that I want to continue for all eternity. I feel it every time she touches me. This euphoria is what Heaven portends to be because a massage puts me in a short-lived state that approximates the best feelings I could ever have. After a massage I am not only happier but I want to pass these feelings of love and peace to everyone I meet that day. It is like being in a Coca Cola commercial. All these feelings inspired me to find out who was the saint of massage therapists was. Catholics have a saint for almost every country, profession, hobby and avocation. One can find a patron saint of architects, shepherds and chimney sweeps…but no massage therapists. To my disappointment there was no saint listed. I did find a reference to St. James without detail or verification. One man submitted Sister Rosalind Genfre, whom I have mentioned a few times in these pages. 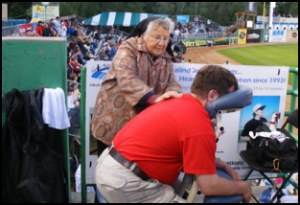 She is the Minneapolis nun who started a chain of massage spas, for want of a better term in the 1980s. Her pastoral work was to elderly people in nursing homes in St. Paul, Minnesota. By accident she had discovered how favorably they responded to even the slightest touch. She and a few other sisters learned how to do massages and then started out by offering them to the elderly residents of the nursing home to ease the burdens of old age. I know first hand the importance of touch. It is a form of personal validation and extension of one human soul to another just because we are all God’s children. Well the local authorities thought otherwise. They thought she and her fellow nuns were offering the kind of massage one found at a massage parlor or a brothel. When the sisters finally proved their legitimacy a new profession was born and older adults like me had another assistance in fighting the ravages of age. But Sister Roz is very much alive and you have to be dead..usualy a long time..to become recognized as a Catholic saint. That was a couple of years ago. Just recently I got the urge to try again. Maybe I missed something. My search led me to Pam a massage therapist from Wheaton Illinois who writes a blog on massage issues. In 2012 she addressed the issue of a Patron Saint for Massage Therapists. Her vote went to Saint Mary Magdalene, who is usually thought of as the second-most important woman in the New Testament after Mary, the mother of Jesus. She was present at Jesus’ two most important moments: the Crucifixion and the Resurrection. Within the four Gospels, the oldest historical record mentioning her name, she is named at least 12 times,more than most of the apostles. The Gospel references describe her as courageous, brave enough to stand by Jesus in his hours of suffering, death and beyond. St. Mary Magdalene is considered to be a saint by the Catholic, Orthodox, Anglican and Lutheran churches—with a feast day of July 22. Other Protestant churches honor her as a heroine in the faith. The Eastern Orthodox churches also commemorate her on the Sunday of the Myrrhbearers, the Orthodox equivalent of the Western Three Marys. What is her connection to massage therapy? According to Pam she anointed the feet of Jesus with oil. That in itself should be enough. Mary Magdalene’s actions were judged and misunderstood by those around her and even later in the Catholic Church. Many people just don’t understand massage therapists–they think they are a little out there and their actions are suspect…what is she REALLY doing with those naked people? Just like the Magdalene! People saw what she was doing and said, Wow–that’s really inappropriate. If Jesus really knew who she was, he wouldn’t let her touch him! 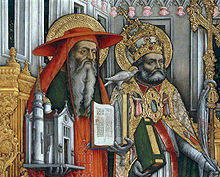 Since then many people from Pope Gregory the Great in the 6th century to director Martin Scorsese and writer Dan Brown have misjudged her and soiled her reputation. It was Gregory I who confused her with the woman by caught in adultery. It is clear, brothers, that the woman previously used the unguent to perfume her flesh in forbidden acts. What she therefore displayed more scandalously, she was now offering to God in a more praiseworthy manner. She had coveted with earthly eyes, but now through penitence these are consumed with tears. She displayed her hair to set off her face, but now her hair dries her tears. She had spoken proud things with her mouth, but in kissing the Lord’s feet, she now planted her mouth on the Redeemer’s feet. For every delight, therefore, she had had in herself, she now immolated herself. She turned the mass of her crimes to virtues, in order to serve God entirely in penance. Scorsese, a Catholic, vividly dramatizes in his controversial film about Jesus Christ–The Last Temptation of Christ. In addition Magdalene becomes jesus’ fantasy lover as well. 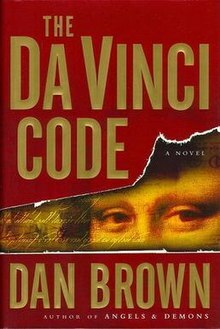 In his 2003 novel, the DaVinci Code Brown raises her to the rank of Jesus’ wife who escapes with him to Southern France were their descendants start the Merovingian line of French monarchs. Her sordid reputation sullied her memory until 1969 when Pope Paul VI exonerated her without commenting on his predecessor’s abject error. She whom Luke calls the sinful woman, whom John calls Mary, we believe to be the Mary from whom seven devils were ejected according to Mark. And what did these seven devils signify, if not all the vices? Pam, who is a registered psychologist as well takes it even deeper. Because our society is physically and chronically disconnected from their own bodies and sexualize much of their somatic experience, people project and misinterpret the actions of others. People are unable to understand that massage therapists are able to communicate nurture, care and love through their work that is not sexual. Jesus understood Mary’s desire to show her love for him the best way she knew how–honoring his body and person in a very concrete expression. Jesus told those around him to Leave her alone! She has done a beautiful thing for me! Jesus got it. He then said, Everywhere my story is told, hers will be too to honor her. Thanks to Pam I can finally rest. I will start praying to her with extreme intensity to bless my therapist every time she lays her hands on me. I have felt for a long time that a massage therapist can serve as a transmitter of God’s graces and love. Massage therapists,especially mine, truly perform the touch of sainthood. I can honestly say that what she does has the touch of sainthood in it. I also pray that I will be in some way be able to repay her for all she has done for me in what for many septuagenarians can be years racked me with pain and depression. Imagine all this and Heaven too! Author’s note: If you liked this one, check out the Fore-touch of Heaven from May 6, 2012. See the list to the right.